I don’t think the Royal Festival Hall has ever experienced a night quite like this , and I’m pretty sure it’ll be a while before it experiences another. 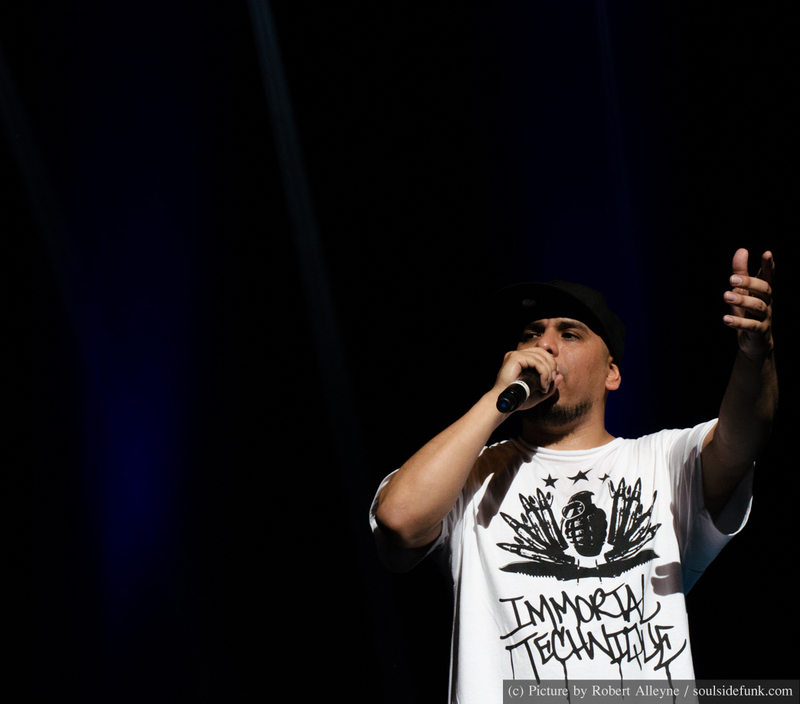 Immortal Technique’s revolutionary brand of raucous and thought provoking hip-hop set the roof on fire. 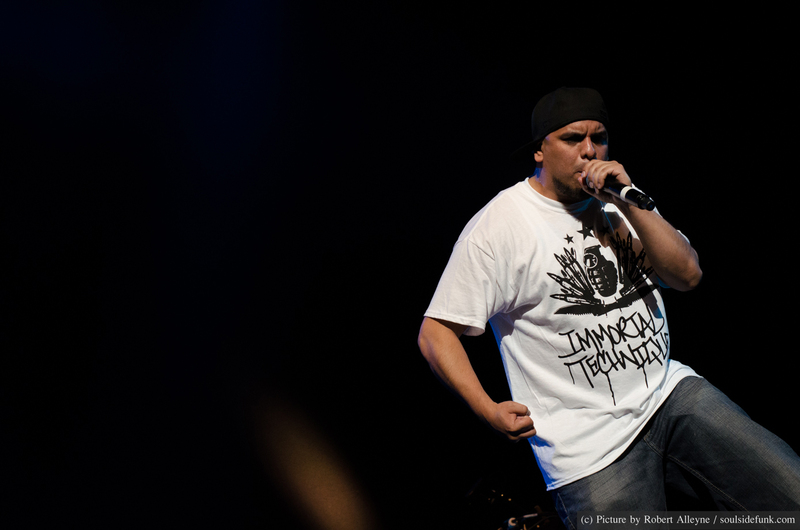 I have only had the pleasure of seeing Immortal Technique once before at a musical festival in Norway of all places. The show then was passionate and powerful. this time, in the grand setting of the Royal Festival Hall, it was just as gritty, and powerful as it ever was before. And pretty much everything you would expect from the guys who bought us Revolutionary Vol. 1 and Vol. 2. Each song he performed felt like it had the power to move oceans with its content. Interceded with monologues and thought pieces on world politics, he never shyd from controversial issues. He openly accused the UK and US governments of terrorism, citing the impact trade embargoes have on regular families in affected regions as evidence. Israel, Palestine. Even the recent murders in Woolwich were all topics open for discussion. It was not all politics and the show played out like a greatest hits show. Harlem Streets, Peruvian Coke, Obnoxious and Point of No Return had the crowd more than bouncing around. 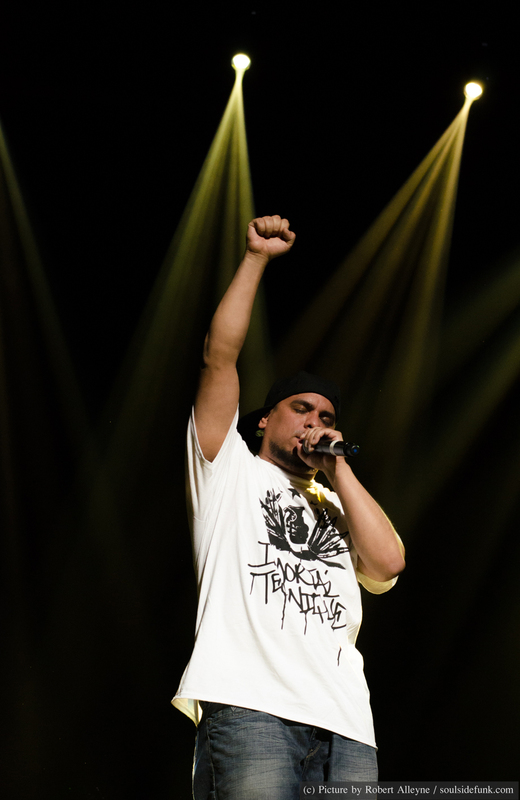 Newer song, Natural Beauty showed Immortal Technique does has a soft side (albeit with a serious message about respecting yourself) and provided a nice respite from the revolutionary onslaught. From a show of many highlights, his performance of Dance With The Devil was exceptional. The powerful story started off quite riotous however by the end had stunned the crowd in to silence. 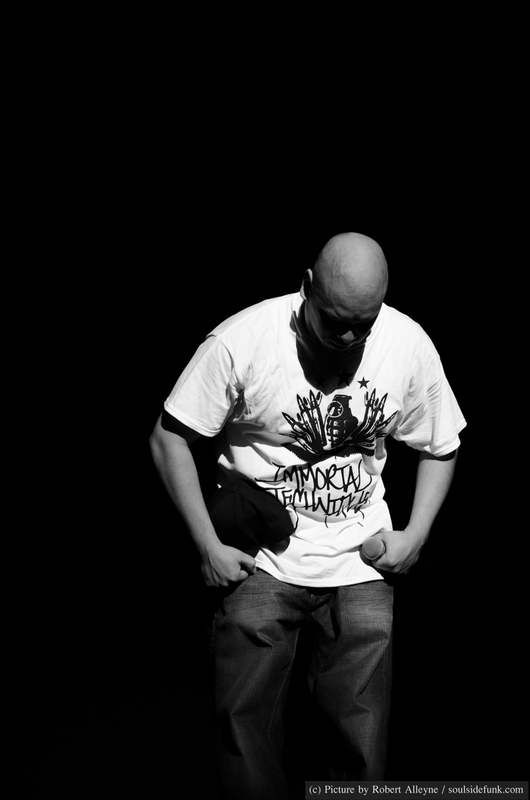 It was a moving moment and testament that when people go to Immortal Technique shows they don’t just go to shake around and punch the air, they go to listen to and absorb his words. In the midst of the mini-revolution brewing inside, Technique took the time to thank all the extras. I caught a small proud smile succomb on of the security guards suggesting these little things to make a difference. Over far too soon, Immortal Technique’s show was the all the antidote a person needs to the mindless so called hip-hop on the radio. Not only did you go out and hear great music, I also felt like I learned something. His messages about the importance of fatherhood and standing up for the things you believe ring true, even more so in todays time of economic strife and political uncertainty around the globe. We are one international community afterall. I left wholly satisfied from Sunday night’s show, and as we walked out of the Festival Hall on to the Southbank and down to Waterloo station with chants of “free, free, Palestine” filling tim crisp summer’s air. 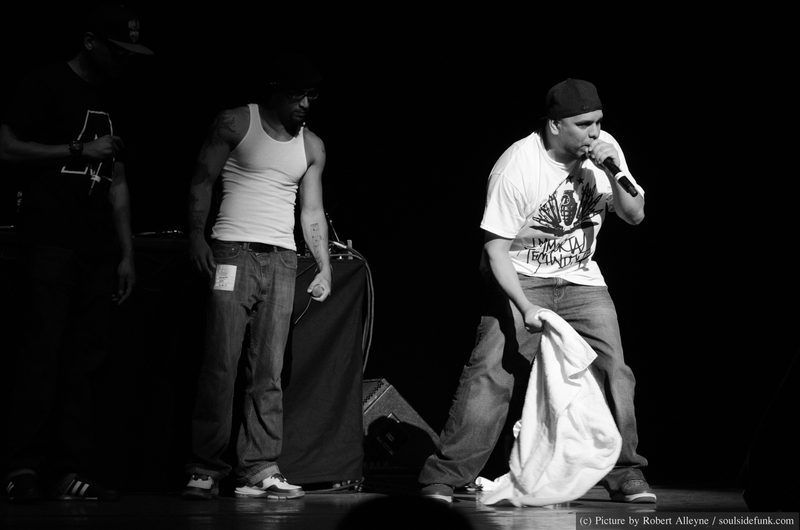 Posted in Gig Photos, Gig Reviews, PhotographyTagged Concert, Gig, Hip-Hop, Immortal Technique, Meltdown Festival, Photography, Review, revolutionBookmark the permalink.